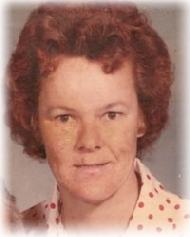 Sylvia Dena Howard obituary. Carnes Funeral Home. Sylvia Dena Howard, born January 3, 1941 in Hartford, Arkansas, passed away August 5, 2013 in Texas City, Texas. She was preceded in death by her husband, Lawrence Howard, Sr., parents, Elmer and Opal Young, sister, Wanda Dindo, and son, Gene Ramirez. Surviving to cherish her memories are her brother, James Young (Juanita), sister, Betty Simerly, children, Sylvia Ann, James Ramirez, and Billy Perdue, and a number of nieces, nephews, grandchildren, and great-grandchildren. Special Thanks to grandchildren, Sedrick Miles, and Lisa Prevost, for their devoted care. The family will receive guests for visitation Saturday, August 10, 2013, from 9AM to 1PM at Bay Area Funeral Parlor, 5410 FM 1765, Texas City, Texas. A funeral service will be held at 1PM, immediately following the visitation in the Bay Area Funeral Parlor Chapel, Rev. Sammy Siverand Bay Area Staff Chaplain will officiate the service. Sylvia will be laid to rest at Hayes Grace Memorial Park, in Hitchcock, Texas, immediately after the funeral.